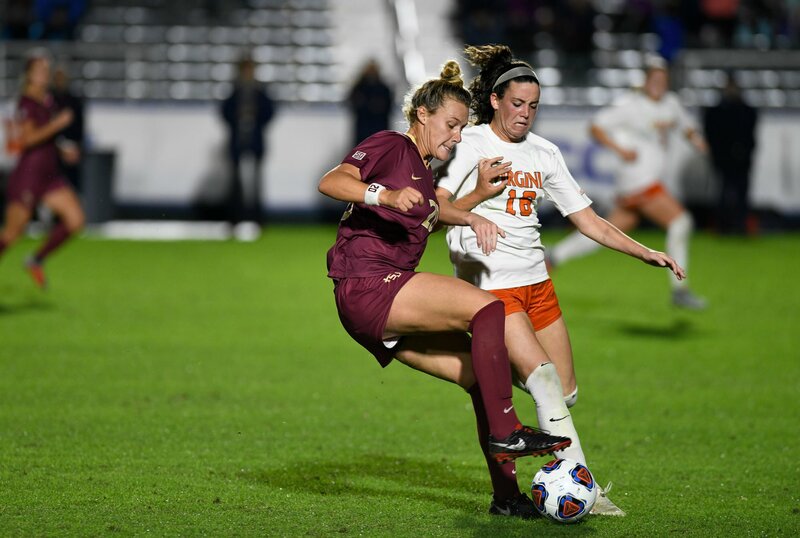 Florida State soccer defeated the top three seeds in the ACC Tournament to win the conference for a fifth time in six years over the weekend. As an additional bonus, the road to the College Cup will go through Tallahassee. FSU was awarded a No. 1 seed on Monday and will open the NCAA Tournament against Loyola-Chicago. The contest will be held on Nov. 9, 10 or 11. Joining FSU as No. 1 seeds were Stanford, Georgetown and North Carolina. The winner of the contest between the Seminoles and Ramblers will move on to face either South Florida or Albany in the second round. Other numbered seeds in FSU’s region included No. 2 West Virginia, No. 3 South Carolina and No. 4 USC. FSU reached the round of 16 last season where it was defeated by eventual national champion Stanford. The year prior, the Seminoles fell to Utah in the second round, ending a streak of five consecutive College Cup appearances. Florida State enters the NCAA Tournament with a record of 15-4-2. Loyola-Chicago is 11-6-1, most recently topping Drake for the Missouri Valley Conference title.